I've had my fair share of baking fails over the last few months. After spending the summer in a cramped kitchen, my baking skills were a little rusty. My first two baking projects once we returned home were disastrous: burned and deflated. 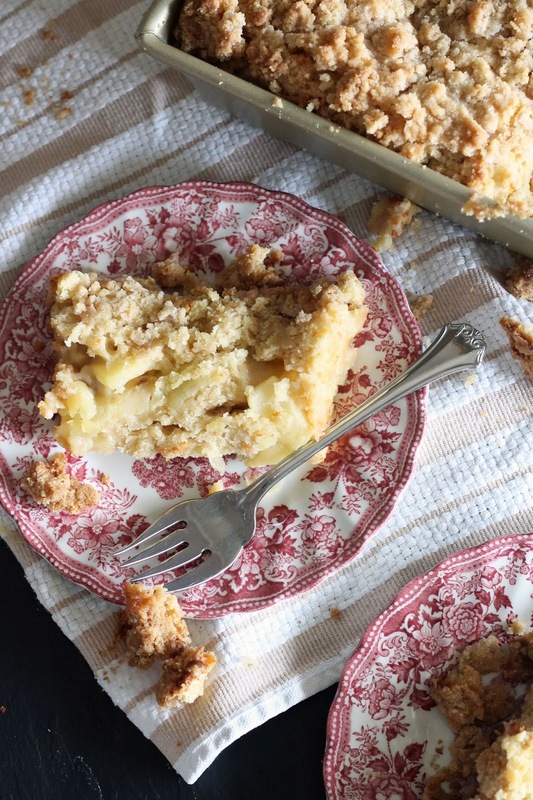 I tucked my tail between my legs and gave my stand mixer a break while I dreamt up this apple crumb cake. 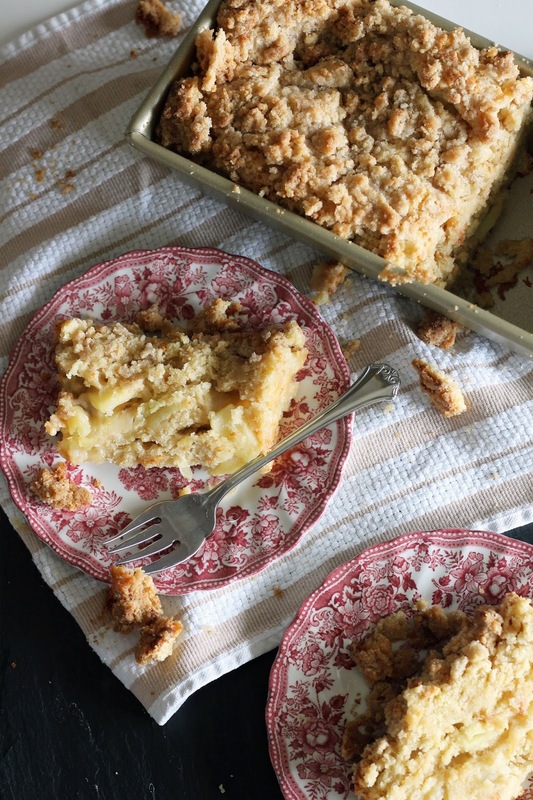 This is a cross between a french apple cake and a crumb cake. 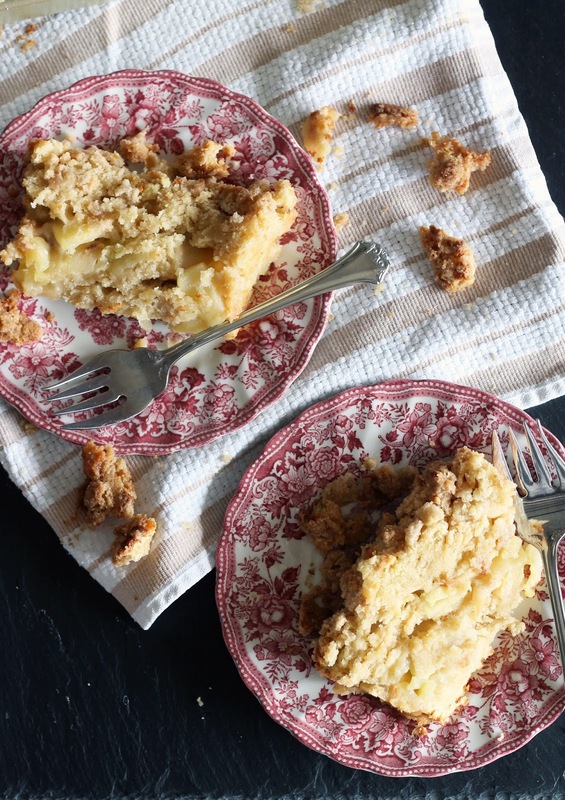 It has an almost custard like texture with a crunchy golden top. One trick is to cook the apples in the microwave for a few minutes. 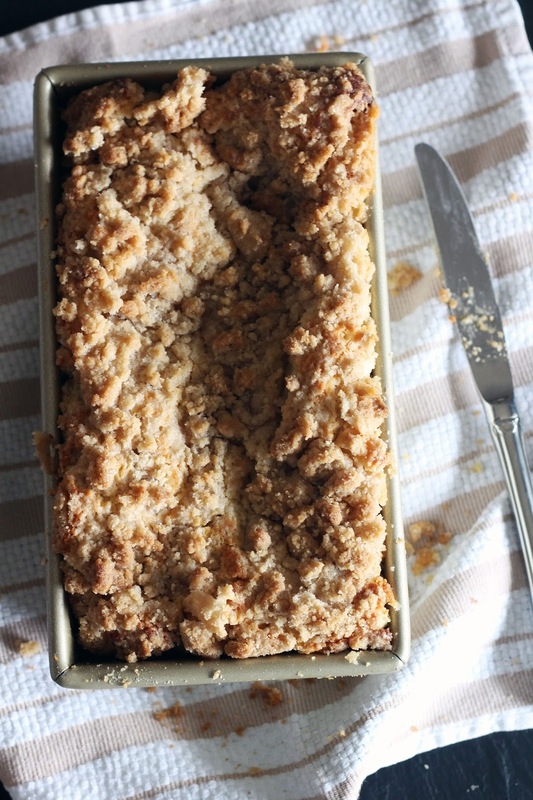 This allows the apples to give off any excess moisture and become pliable for more even baking. My husband declared this cake the best thing I've ever baked. So, I think that means my baking curse is finally over. Bring on the holiday desserts! Preheat oven to 350 degrees. Grease and flour a loaf pan and set aside. Place apple slices in a microwave safe dish and cook for 3 minutes, stopping to stir every minute until apples are soft and pliable. Toss apples slices with lemon juice and set aside. In a large bowl combine butter and sugar. Beat butter and sugar with a handheld mixer until light and creamy, about 2 minutes. Add eggs one at a time mixing until combined along with vanilla extract and lemon zest. In a separate bowl sift together flour, baking powder, cinnamon, and salt. Add half the dry ingredients to the wet ingredients. Then mix in the greek yogurt, and remaining dry ingredients. Pour half the batter into loaf pan. 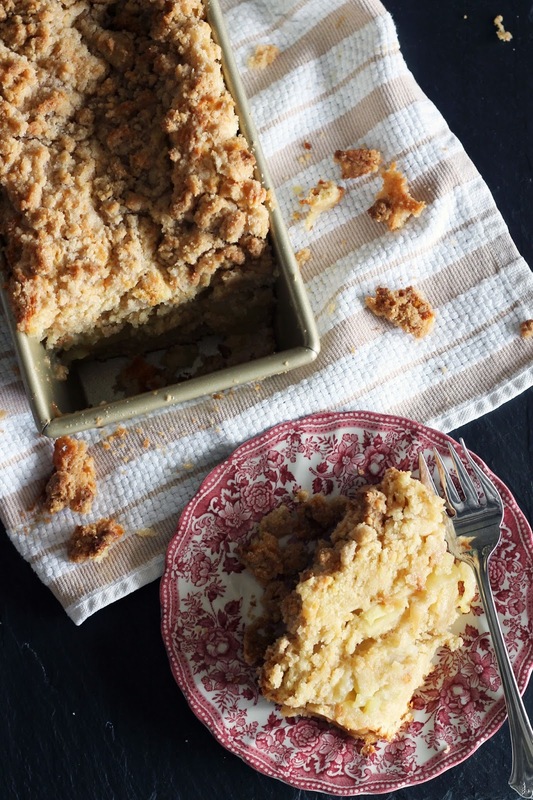 Spread apples evenly over batter, draining off any liquid that may have accumulated, and top with remaining batter. Sprinkle with crumb topping. Bake for 35-40 minutes until topping is golden and center is almost firm (it will still be a little jiggly). Allow to cool for 5 minutes and serve warm. Combine ingredients in a small bowl and mix together with a fork until mixture resembles coarse crumbs.